Welcome to get to know our poodles. Our dogs main priority is to be our pets sharing our household. 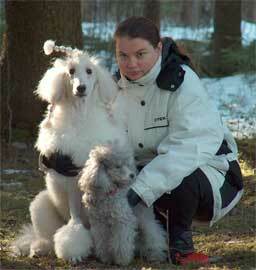 We show our poodles regularly unregular basis, full show coats doesn't stop us going to woods wandering and playing around.